It’s impossible not to be drawn in by the sweet aromas that delight anyone who passes by on the central C/Barquillo. 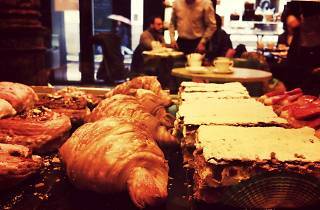 Using high-quality ingredients, this is an artisan bakery the likes of which few exist in Madrid. Pomme Sucre offers a wide variety of pastries, including croissants that are well worth getting to know. You'll find quality pastries that melt in your mouth and are the ideal complement to any breakfast or snack.